Blockchain has become one of the fastest growing technologies, with a potential to change the way businesses operate. However, Blockchain’s limitless potential can only translate to realization, when there is an equally skilled talent to match the evolving market expectations. As such, finding talent at scale, and building a strong community of Blockchain experts, to effectively accelerate this technology’s industry adoption becomes crucial. And what better place to start, than the start-up and student communities, burgeoning with fresh ideas & abilities, waiting to be explored and nurtured! At LTI, we understand the significance of creating rich talent – of innovative thinkers and developers – who can make Blockchain a true game-changer for organizations globally. And to foster this passionate attitude, we’ve partnered with NIPP (NASSCOM Industry Partnership Program), as Sponsors of the NIPP Blockchain Challenge 2018. A true collaborative platform for students, developers and start-ups alike, this hackathon promises innovation and excitement from the get go. 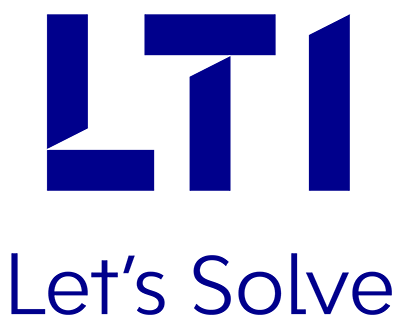 LTI will give an award for the “Most Innovative Solution”, along with additional internship opportunities for winning teams with student participants. Students will receive internships for a duration of 3 months at our Mumbai office, subject to the rules and provisions set forth by LTI’s HR Department. By being part of the evaluation committee, LTI hopes to contribute to bringing forth some of the best minds through this unique event. LTI will provide mentorship and guidance to the teams at this hackathon in Bengaluru, on July 28-30, and we expect to witness some truly ground-breaking ideas. In another highlight, as part of the NIPP Blockchain Challenge, LTI will also host a track on Digital Records and Regulatory Compliance. At LTI, we have been working on advanced Blockchain solutions, and through this forum, we endeavor to identify and mentor future innovators in the Blockchain space.